Why was FaceID removed? This was a very useful feature in a sense that it made it easier to access the app without having to enter a password. This app frequently kicks me out, and will not recognize my login information. I deleted it, and use desktop or call patient care. Every month I have to manually call them to pay the payment plan we have arranged. Every month I ask them if now I can just go in the app and pay and every month they tell me yes that it will be included so that I can pay in the app, but this never happens. It is difficult to call them during the day because of work, so if I could pay through this app it would be really handy. Please fix this. Whenever I try to log-in, there is an error message saying that there is an error with my username and password even though I am typing the correct credentials. I even tried using a computer and it worked there. Since I have updated my phone, this app has ceased working.. please fix! I’m really shocked to read all these negative reviews. App works great for me on my iPhone 7. Never had any problems. And believe me, I use it regularly! This app is very easy to use, and navigate through. It allows me to schedule, reschedule, or cancel appointments for my family, message our PCP’s, review office visit summaries, test results, and more! 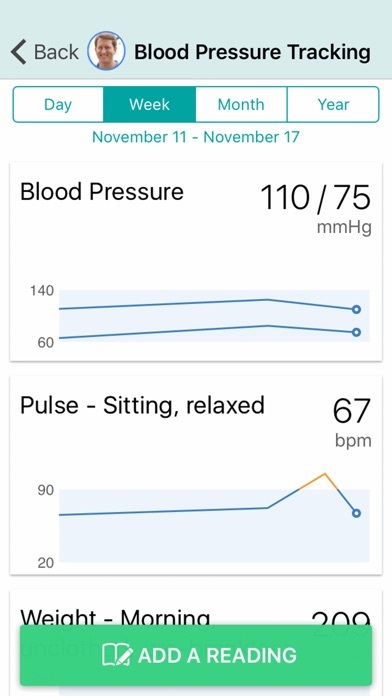 I’ve had zero issues with this app and find it much more comprehensive and advanced than other healthcare apps I’ve used in the past. 5 stars! There have been changes. It was better before. It had more choices. Face ID or Touch ID does not work on this app. It will say your password has expired. What’s the point of enabling those features when you will end up typing your password? 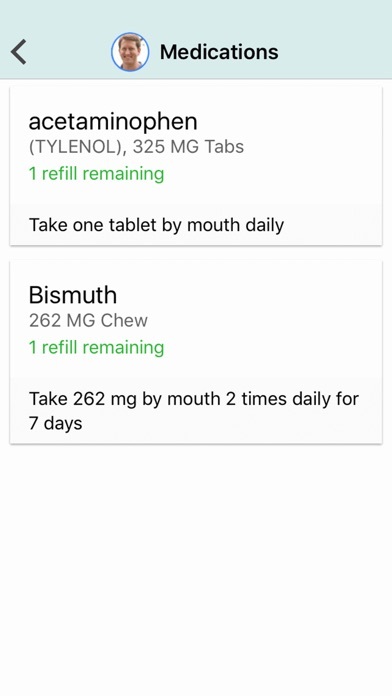 Why has this SutterHealth app Taken Over the MyHealth app? I opened my original MyHealth app for my Atrius Health account this morning and SutterHealth popped up. It did the same on the ATRIUS online site. 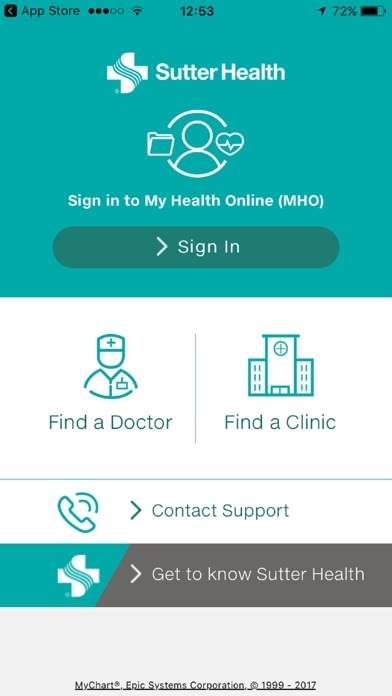 I can now reach the online site, but the original MyHealth app has disappeared from the App Store. What the hell is going on?? This app is getting better than it used to be! The fingerprint sign in really helps. The ability to pay the bill and schedule online is also helpful. Chat would be nice in the future. This was great! I avoided driving in fog to get a simple medical issue addressed. Audio and video on ipad were clear; excellent. The latest update took away my ability to see my lab values. It says “more information available on website”. So what’s the point of the app then? Labs are one of the main reasons I use the app. Please fix this. According to Apple's own numbers, 360 MILLION iPads have been sold to date. They all support external keyboards. Most external keyboards make you use your iPad in landscape mode. The Sutter Health app does not support landscape mode, yet, the offer it for the iPad. You have created an app that is basically a wrapper for your web views. Those web views are NOT optimized for mobile devices. (No, having a bit of react.js code here and there does not mean that you are designing for mobile). Your data dense views and tiny buttons would be so much easier to use on landscape mode. If you are going to make users look at screens designed for a PC aspect ratio, at least let them use the mobile device in the orientation that most closely resembles a monitor aspect ratio! Fix this, and then I will write a review about crashes, inconsistent security scheme, annoying UI, etc. I can see messages received and sent with my doctor on iPhone, but only received messages in iPad even though have iOs12.1 running on both. On my first attempt to use this app, I got the message ‘Your account has been disabled’. From the other review comments, it sounds like their authentication methods for their app and site are pretty poorly designed. I had a bill to pay for my child’s recent visit. In the app there is a billing icon under my profile however it does not show my child’s bill. I switch to his profile and there is no billing option so I couldn’t pay his bill via the app. However, I did go to the Sutter website and was able to pay it from there. Would be nice to be able to pay bills for ANY profiles under your account. As one other person has identified when hoping to change my password, I was directed to my mail where a code would enable me to change the password.......never worked. Haven’t been able to receive my “after visit” summary. I use my iPad and wondered if that is the problem. It seems unethical to advertise that we as consumers can make appointments online, contact our support team etc, when this is untrue. I can never get in and do what I need to do. This app is always crashing, it used to work when I restarted my phone, but now it doesn’t even do that. Otherwise it’s great when it actually works, keeps appointments and labs and all the information about yourself and your children if they are seen at Sutter. how convenient to check labs, appointments, manage billing and message doctors! i can access in a matter of seconds. tap on app and enter 4 digit passcode. i haven’t had a problem all of 3+ years i’ve been using it. The mobile app is broken and useless. Spent 30 minutes on line with Sutter tech people and they can’t explain why I could not log in. Can't get it to work . Trying to set up passcode and it won't work! Just let me look at my information! I've seen worse apps. But this is among the worst. I find this new website to be horrible! I don’t see a button to navigate to refill a prescription any longer, which was very convenient to me. If I receive a message from my care team and I do not reply or respond, then I start receiving phone calls. I don’t always check my emails daily (to me - the messages are just informational reminders that do not need to be answered) and find that the phone calls are annoying. I’m sure there’s more to complain about if I studied it more, but I don’t have the time to make it a priority. Annoying and inconvenient. I get email message saying I have a new AVS. I click the link. It goes to a browser page and, after thinking for a minute, asks me to download the app. I already have the app, but I click the App Store icon anyway. It shows me the installed app. I click to open the app. There is no new AVS. Good lord, it’s not 2006 any longer. This should work without a hitch like it does in virtually every other app: the server should detect the installed app and swizzle to it from the browser page. Saw all the bad reviews and was concerned but at least for me as of aug 2018 everything seems to be working well. Not iPad useable. Web app works fine on a mobile browser but not the mobile app. Not surprising from one of the worst medical organizations I’ve ever been forced to deal with. Home screen does not support something as basic and commonly expected from any even remotely decent UI as landscape mode on iPad. Could not get a chance of using the app much further because the sign-up process just hangs.. Awful. Please add the ability to see “Tests ordered”, then it is 5 stars, thanks! Can’t believe I cannot pay my bill via this app. A mess! This app wouldn’t even complete the 3rd party verifier. Could not build a profile. Waste of my time and money spent by Sutter. The app (and the web version) is useless for signing up for an account. After filling up basic info, it says “Verifying the information with third party” and stays there forever. I like having my appointments and meds at a glance but when I pay my bill on the app i am asked to pay again at the office. I also get notified that I owe money and it doesn’t say why. 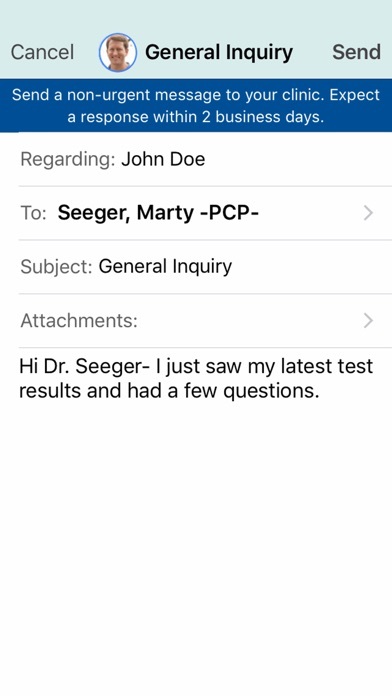 I also recently learned when I send an email to my doctor pretty much anyone working at sutter can read it. I didn’t really care for that. It’s nice to keep track of your appointments but I recommend not paying the bill or communicating with your doctor on it. im not sure what problems other reviewers are having but the app works fine. im able to log in and set up an appointment. Was able to easily log in, send and receive a message with my doctor, schedule an appointment and check in to an appointment ahead of time. App is simple and easy to use. I have no idea why there are so many negative reviews. Works well on iOS. I turns on Touch ID and that worked fine too. I was able to see everything I needed and communicate with my doctor. Works exactly as expected. I didn’t have any of the issues that other people have described. The App offers an easy navigation system for anyone to use. The fingerprint access makes the login process so much easier. I enjoy the ability to check my lab work results and set appointments with ease. So many features on the new app that makes this app the best I’ve used in the past ten years. For those who wrote a bad review, I suggest you educate yourself on how to utilize the app. Also, the app is not responsible for your doctors lack of response. I have been trying for three days to sign up! I can’t imagine how the rest of the app works if sign up is this difficult! I will delete this app now. No thanks!! I really hear back if ever online from Sutter I don’t know what the app is for I can make appointments I can send messages to the doctor that never got sent back or rarely. Now they say go on the web and read your real report and I can’t find it I need help I’ve had my health online for 20 years or how are however long it’s been where’s the website that I’m supposed to go to. So I can see my results. 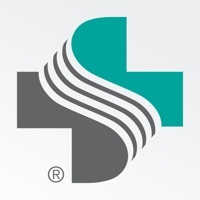 I was using the myChart app previous to this Sutter Health app. Since the developer is the same for both apps, the interface is now the same. Recently, the entire Sutter Health system network was down from the evening of Monday, May 14 through Wed., May 16. No on could access patient information and some phones did not work with regard to staff calling out (to notify patients with scheduled procedures). This app provides basic information, i.e., less than the web site, but otherwise functions for my needs. For those having issues creating an account, I suggest creating it on their website. A few months ago, they were updating their website to which my proxy account no longer worked. Weeks later, I finally reached a customer rep that listened and had me try all the basic troubleshooting protocols to no avail. She alerted the tech dept. and eventually it got fixed. So, if you experience log-in problems, consider contacting the support reps. 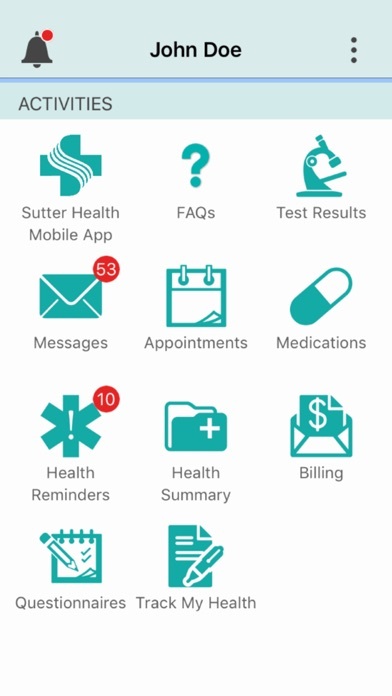 Since this is only for providers in the Sutter Health network, myChart is more versatile as I access other health organizations. Website is broken; it keeps directing me to use the app. So I downloaded the app and it doesn't work in landscape mode on my iPad. It's no surprise that this app has 2 stars. A competent developer would have made it work in all orientations; who knows what else they screwed up. Are they competent enough to keep medical information private? I doubt it and I literally don't have enough confidence in them to bother turning the iPad sideways. They screwed up a website that had worked for years to push people to use this garbage app. I need to find another place to go; PAMF is not worth the $1100 a month I pay for health insurance. “Oops! We were unable to secure a connection to the server.” This is the error message I keep getting when I try to log in to my account using this app. Same username and password works fine in the browser but not in this app. This app is completely useless if it won’t let me log in! It’s been two days, and I still can’t login. I’m trying to pay my bill and see my test results.